This club is "Officially recognized by Elvis Presley Enterprises, Inc."
Taking care of Elvis in Las Vegas, in our way, since 2004. Let's have a swingin' time! 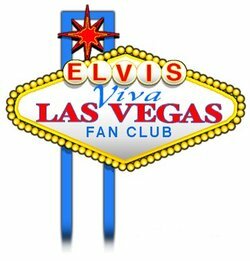 Looking for a great Elvis fan club? Scroll down and read more about us. Don't know where to find Elvis? Looking for a show or event? 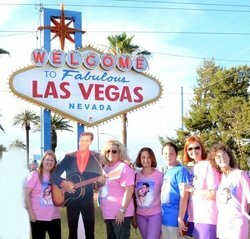 Want to take a self-guided Elvis in Las Vegas tour? "Events", "Elvis Now" and "Elvis Then"
Looking for impersonators? See the "Tributes" tab. Installed September 26 2008, in front of the Riviera. On May 4, 2015, the Riviera hotel closed forever. The star has been removed and donated to the Neon Museum. See the old star at the Neon Museum. A new resurrected star was installed at a new location! 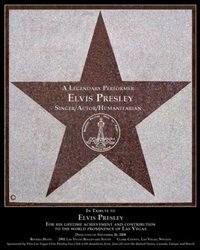 To learn more about the ELVIS star, click here! C'mon Everybody! Meet the Viva Las Vegas club! 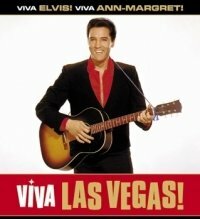 The "Viva Las Vegas EPFC" was established January, 2004 to commemorate Elvis' contributions to Las Vegas in Entertainment and Charity. 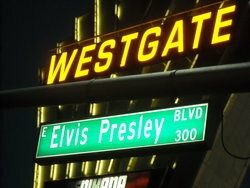 This club promotes the memory and history of Elvis in Las Vegas. We donate to local charities in Elvis' name. 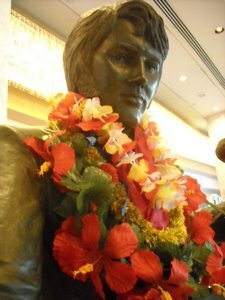 Elvis fans have the opportunity to 'get out of the house', have fun, and make new friends. 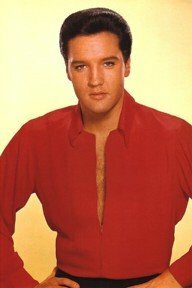 We have monthly themed & informational meetings, and we have periodic events to promote our man, Elvis Presley. Contact the president for more information. International and out of state fans are most welcome. Local & visiting members attend our meetings & activities. Daily news from all over (plus information with that Las Vegas angle) is emailed to members. To join us, click on the CONTACT button in the menu above for details. Contact us if you would like to attend a meeting.. We'd love to meet you! Opened Apr 23, 2015, Westgate closed the exhibit Feb 26 2016. Click here for more information. More news articles at these links. Update from staff at the Westgate: all of the EP items were returned to Graceland the summer of 2018. Was on view at Graceland in the former awards room.